Fast becoming one of the South Island's premier wine areas, Canterbury has plenty for the connoisseur. Christchurch Wine is best sampled straight from the cellar door, so head to Waipara for a soupçon of Pinot Noir or Riesling. Wine in Christchurch is based mainly around the Waipara valley. You'll find over 80 vineyards, cultivating some decent Riesling, Chardonnay and Pinot Noir, among others. Join a guided tour around the region (most leave from Christchurch), or just suit yourself and tour at leisure. Don't take your car though, so either hire a bike and take your time gliding from cellar door to cellar door, or hire a cab to taxi you. Either way, you'll be rewarded with some beautiful vintages, and scenery (and weather) that's just too good to miss. 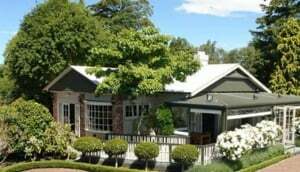 Many of the region's wineries are within spitting distance of Waipara town itself, so you could base yourself here for a night and just wander. Some wineries also have cafés and restaurants, so there's no excuse to move. Closer to Christchurch, you'll also find excellent vineyards due west, at West Melton, and even within the city limits, at Yaldhurst. If you're touring the Banks Peninsula, you can sample some fine Pinot at Kaituna Valley in Ataahua.